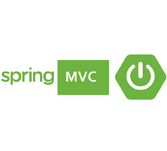 What is Spring MVC ? Spring MVC Framework is an open source Java platform. Robust web applications can be rapidly developed by Spring MVC complex infrastructure support. Rod Johnson is the person behind the Spring framework which got released by Apache 2.0 license in June 2003. Following tutorial is written referring to Spring Framework version 4.1.6 which is released in Mar 2015. Java programmers who are good in understanding the code and willing to take it up with Spring MVC Framework and to get the expertise of intermediate level. They can excel in the subject of expertise. Good knowledge in Java programming is a must and plus point. And basic knowledge on Eclipse IDE which is required as the examples shown in this tutorial are compiled using Eclipse. The question and answers are designed in such a way that it helps students and professionals in preparing for Exams and Interviews. It has a good collection of sample Questions and Answers along with explanations - Study Spring Questions and Answers.